Medical misdiagnosis is one of the biggest healthcare safety concerns in the United States today according to The Institute of Medicine. It is an immense and costly problem. Globally, misdiagnosis is responsible for millions of patient deaths every year; in the U.S., over 100,000 people die every year because of misdiagnosis (Leavitt & Leavitt, 2011). Misdiagnosis also affects the economy by raising the already high price of healthcare delivery. “Life Savers” is written to educate the public, “consumers” of healthcare services, to become knowledgeable about their medical conditions through the use of medical diagnostic software. It is written to empower patients with necessary diagnostic tools to make sense of their symptoms and change the way they speak to their doctors forever. This book is a research-based study that provides empirical insights into how technology, particularly the use of diagnostic software, can improve medical outcomes for patients. 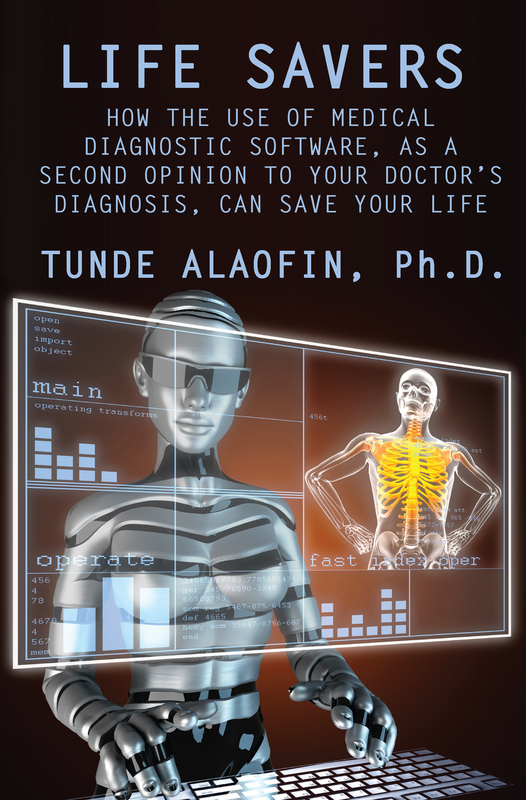 The role of diagnostic software, as discussed in this book, is not meant to be replacement systems for the doctors, but rather a proposal of healthy partnerships between doctors, patients and software to complement their efforts to make quick and more accurate diagnoses of diseases in patients. Dr. Alaofin details an approach to more effective diagnosis that has yet to be propagated in the healthcare sector. This is, undeniably, an invaluable book. I love the graphs regarding misdiagnosis. As a physician, a patient and a certified professional coder, I have first hand experiences with misdiagnosis. This book is rich in behavior models, theories and studies. For certain, misdiagnosis is a problem that none of us can afford to have. This book gives the background to why misdiagnosis is a problem and offers diagnostic software as a critical learning tool. Patients need to provide information. It must be detailed and accurate. When you look at the History component of a doctor’s note in your studies, however, you are not reading what the patient actually said. You are reading the “doctor’s interpretation” of what the patient said. Sometimes the doctor’s History is not the same as what the patient subjectively expressed at the encounter. Patients are learning to access their entire record due to newfound rights granted by HIPAA 1996. Patients will learn to pay particular attention to the documented History in medical encounter note and judge whether their medical story is told with appropriate content and accuracy. Patients are also learning that they can amend their records, sometimes in preparation for a visit. In a study that just concluded May 2015 in Pennsylvania, 252 primary care patients were given the opportunity to “co-author” the History component of their encounter with a doctor. I believe that doctors/medical providers are about to start working together, like never before, to produce information and problem solve. This opens the door for diagnostic software and will make it a standard of care. As healthcare enters the digital age, we will need such systems to guide us toward the better decision-making. If you want to know about the background and theories behind misdiagnosis, you need to read this book.